Robert Hayk is a man on a mission: convincing Americans to give Bulgarian wines a try. “It’s no longer that crap they used to sell to Russia by the millions,” Hayk said. “Bulgarians have so much passion and potential.” To prove it, Hayk kicked off a new project called Grapes & Barley. 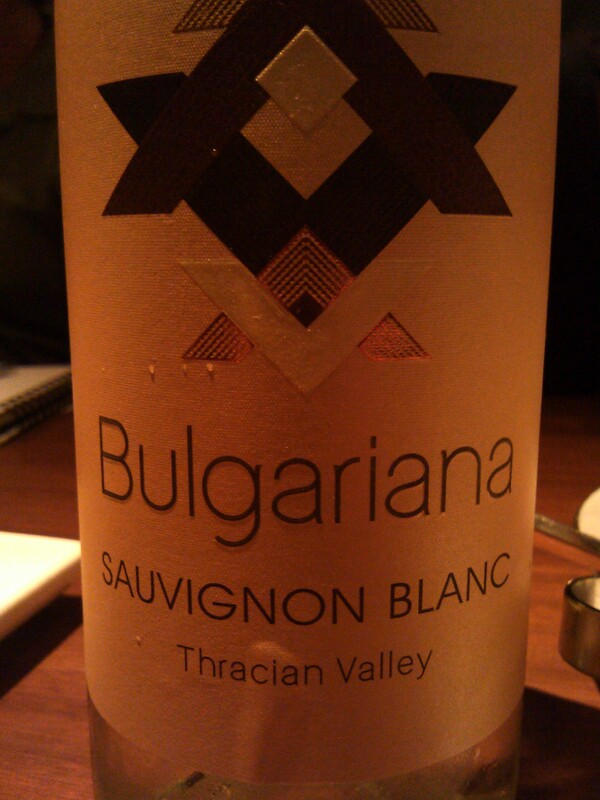 He coordinates with growers in Bulgaria’s Thracian Valley and international winemakers to craft inexpensive and accessible wines under the Bulgariana label. I met with Hayk last week at the Blue Duck Tavern in Washington, DC. We shared stories of travels in Eastern Europe as we tasted Bulgariana’s wines, which were served alongside a menu prepared by Chef Sebastian Archambault. My experience with Bulgarian wine is limited to a few bottles my father brought back from his European travels. I’ve had some solid Gewürztraminers and some heavily-oaked but delicious Thracian Valley Cabernets that, if served blind, might make an unsuspecting wine drinker shout: “Napa!” But few American consumers have made a connection between Bulgaria and good wine. Hayk admits it’s not easy getting Americans hooked on Bulgarian wine. But Hayk, who comes from an Armenian family and grew up in Moscow, has some experience with bridging cultures. He’s fluent in five languages and has worked at U.S. embassies in Armenia and Sofia. His love of Bulgaria’s people, history, and wine is addictive. To gain ground in the American market, Bulgariana aims for value-driven wines. All of Bulgariana’s wines carry suggested price tags of $15 or less. “My goal is to turn Bulgaria into the next Chile,” Hayk told me. The brand’s $10 Cabernet Sauvignon has sold well at Total Wine in Virginia, Calvert-Woodley in DC and a slew of stores in Montgomery County, Maryland, Hayk said. I asked Hayk if Bulgaria’s portfolio would someday feature a Mavrud, an indigenous Bulgarian grape that can produce some spicy and tannic wines. Hayk said he’d like to work more with Mavrud in the future but market research hasn’t turned up much interest in this relatively obscure red grape. Overall, I have to say, it’s rare I find sub-$15 wines that have such character, those distinct little traits that tell the palate: “I come from somewhere special.” My notes on Bulgariana’s wines are below the fold. Great article, we’re always interested in new wines, especially the red blend utilizing the regional mavrud. Do any of these wines retail in California? James, on wine-searcher I’m only seeing these wines for sale in the DC-MD-VA area. Perhaps they’ll expand distribution at some point.